While I absolutely love this season of the year, it is easy to get caught up in all the chaos that surrounds the preparation of a Thanksgiving gathering. I find it very ironic that in the midst of a time of gratitude and praise for all that our Creator has bestowed upon us in the past year I tend to become ungrateful and at times grumpy. 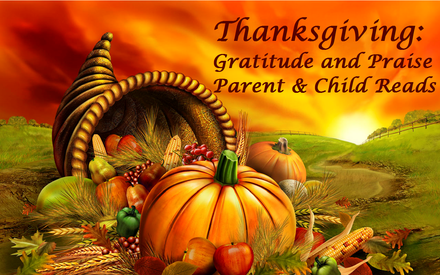 One of the best ways that I have found to stay focused on the meaning of our celebration is to take time each day to read books that center on giving thanks. In our home we love to curl up and read so for this season I have tried to fill our reading time with books that will remind us to give thanks. If you would like to add a few books to your reading list that center on being grateful I've compiled a list of my current favorites for parents and children. around to reading this one. I'm so glad that I finally took the time. Ann is a master at helping you see the majestic in the everyday. She shares her journey of discovering God's grace. 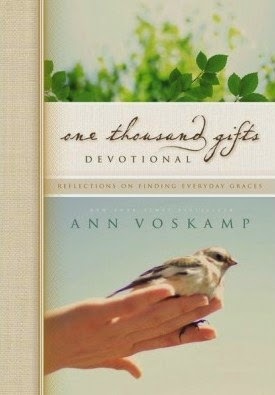 The wonderful thing about this devotional is that through it you can't help but find God's grace in your life as well. It is an interactive book that has a section for you to record the 1000 gifts and everyday graces that God bestows upon you. 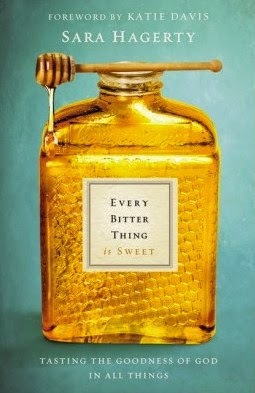 This is sure to be one of those books that you will find yourself peeking back on. Beautiful way to record your journey each day. This book resonated deeply with me. I don't like change. At all. But of course God has used that very thing to bring about some of the biggest growth in my life. Shauna shares about dealing with that change and being grateful for the journey that God has put you on. I love this thought from the book: "When life is sweet, say thank you and celebrate. And when life is bitter, say thank you and grow." She goes on to describe the difference between bitter and sweet and the horrible place we would be in if our life only contained one or the other. She then goes on to describe how God uses both in our lives to bring about the best for us. 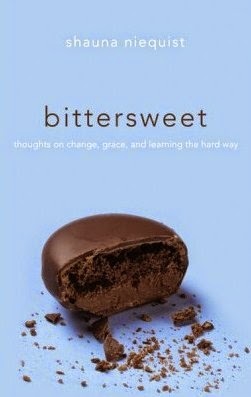 I still don't like change, but this book has given me a whole new perspective on it. After reading the first chapter I wasn't sure that I would really relate to the book because it is the story of Sara's struggle with infertility and I've not experienced that. But I hung in and finished the book and I'm so glad that I did. This book is about so much more than infertility. I think it will speak to anyone that has ever had an unmet expectation. If you've been in that situation you know how easy it is to allow a seed of bitterness to grow. Sara is very open about her struggles with bitterness and accepting God's provision in her circumstance. It is a great book that will help you focus on the goodness of God in all situations. Who doesn't love the Berenstain Bears? As a parent you can always count on the book containing a message that your kids need to hear and apply. In this edition the Berenstain's are on their way to their grandparents house but an unexpected snowstorm has altered their plans. Through the use of different circumstances the lesson of being thankful in all things is taught. 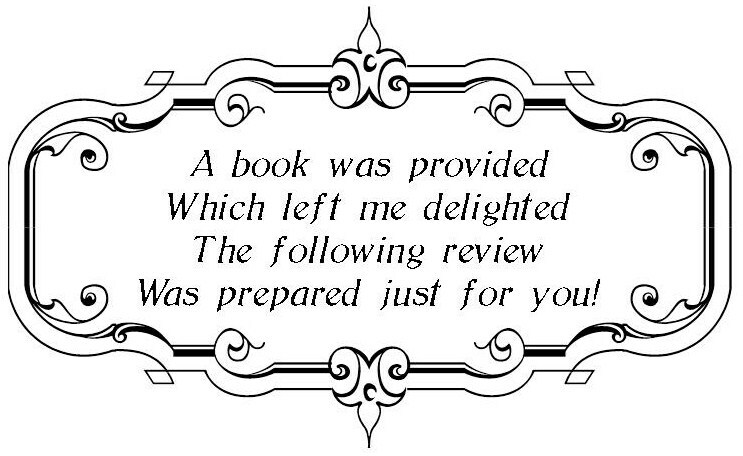 I enjoyed the illustrations and the fun songs and poem. My grands loved the stickers! Maybe you’ve gone to church and just not felt like you were connecting to the service like everyone else. Perhaps you have been trying to get closer to God but simply hit block after block and feel more frustrated than faith-filled each time you sit down to pray or worship. Or maybe you feel like you are doing okay spiritually, but feel you’re missing something you can’t quite define. And on top of everything else, you’re simply trying to figure out who you really are inside and what you’re supposed to be doing with your life. The good news is you’re not alone, and you don’t have to feel discouraged. 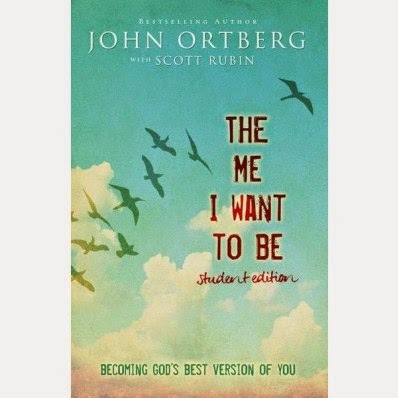 Though in the pages of The Me I Want to Be Teen Edition, bestselling author John Ortberg focuses on what makes you who you are, looking at how you spend your time, your unique experiences, your relationships, and your overall world to help you see where you are now, as well as providing exercises and quizzes that help uncover God’s plan for you and the positive directions you can now go. Find out what it can look like when you discover what the best version of you looks like, as well as the life God has always desired you to have. You know how tough it can be! Bad things happen that make you feel sad, afraid, lonely, or confused. 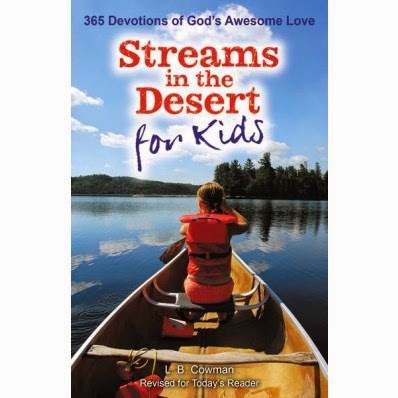 In those times, you need encouragement, wise advice, and help trusting in God.Streams in the Desert for Kids is a year-long book of devotions to help you when things seem hard. Based on a famous book written many years ago, this book combines timeless wisdom with modern stories, sports info, cool scientific facts, and more. Best of all, it shares amazing insights into God's Word from the classic Streams in the Desert in ways you can relate to, and it helps you apply those insights to your life. All it takes is a couple of minutes reading each day to help you deal with life’s difficult issues and be refreshed, like drinking a cold glass of water on a hot day. Well there you have it friends! 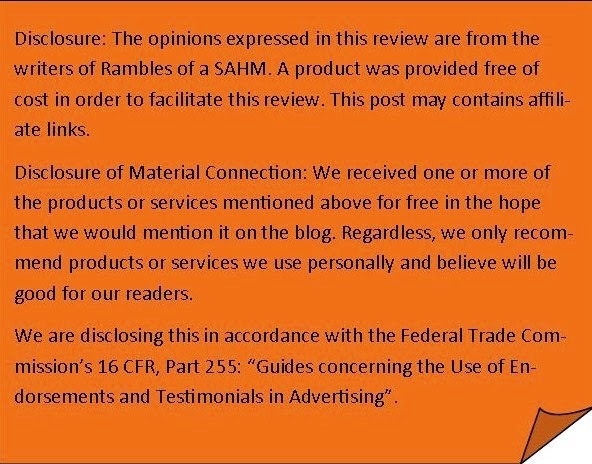 I hope that you will be as filled with gratitude and praise as I was after reading the above titles. May your family and friends that gather around this year be blessed by you as you serve Him!